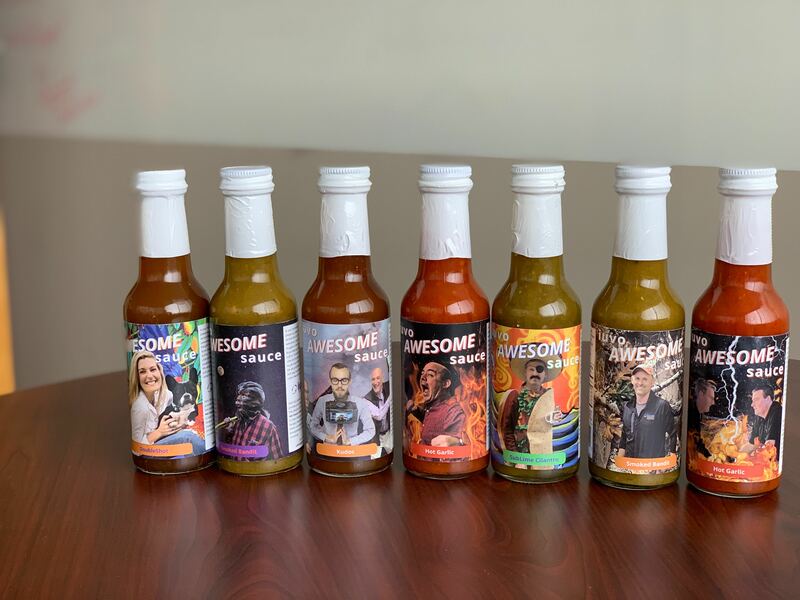 If you could make something called Awesome Sauce, what would your ingredients be? If you discovered or created the formula for this, would you keep it secret so you could rule the world? Well, lucky for you, I have the formula and I am willing to share both the sauce and the secret formula. We have iuvo Awesome Sauce both physically and philosophically. The iuvo Awesome Sauce that you can hold in your hand is a physical representative of something that is core to who we are. We partnered with Hot Sauce for Good who created the hot sauce and donates all the proceed to charities that feed the hungry. I encourage you to check out the link to learn more. For us it is a win-win; we can help those less fortunate and celebrate our awesomeness by showcasing some of our iuvonauts on the front of the bottle. The first time the hot sauce was produced was a surprise to me (us) from the efforts of one of our iuvonauts, and it was such a a good idea that we continued with it. So now that you know it is real, what is the formula? Any good sauce has to have the best ingredients possible and so the first ingredient is to Hire the Best People. I would even say in some cases, if you run into a super hero who wants to work for you, then create a position for this person, because the right people in your company have the largest impact of any decision you can make. It is really hard to do so, and we have documented this in our presentation on culture, so you can learn more. Hire people that are better than you and the best person possible in that job function. The second ingredient to our iuvo Awesome Sauce is to share as much data in your company as possible. This idea is not new, I first read about it back in the 1995 Book Open-Book Management, by John Case. If you want your employees to be successful, they need to have the tools and data to make those decisions. Unless there is a HIPPA, HR , privacy or regulation restriction on the information, then share it. P&L, Goals, Roadmaps, The Good, the Bad and The Ugly, (cue Client EastWood Movie sound here). Invest in collaboration platforms, documentation systems, measurement tools and make Dashboards for everyone to see and use. The third ingredient is to empower and entrust your people to do the right thing. As long as you have good people (ingredients), let them do what they do best. Any minor mistake can be course corrected and the power of people infusing their ideas and work ethic into your organization will amplify your results. Those great people will have access to the data you gave them to make great decisions and think outside the box. So there you have it. Simple ingredients right? It looks easy, but it is hard to do in practice, but if you want to create your own awesome sauce, I promise it will work. The awesome sauce that you create does not stay in your work place. It extends to their families, your customers and partners. Everyone wants to be with someone who is awesome. I will leave you with this fun photo. 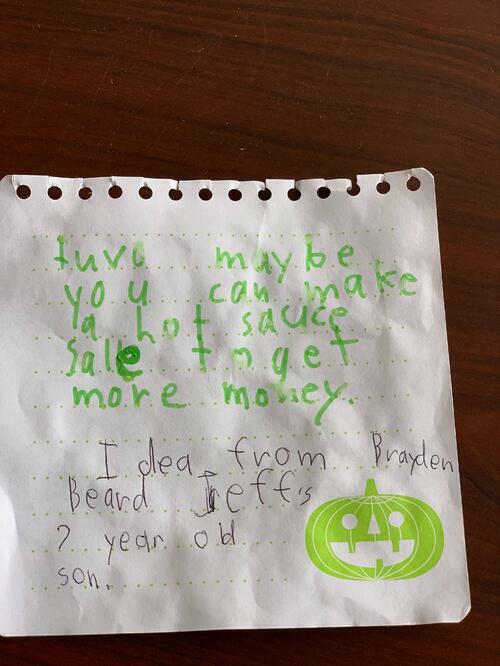 We handed out boxes of iuvo Awesome Sauce to our iuvonauts and one of our iuvonaut's son wrote this note about an idea of how we could make and sell iuvo sauce and put this note on my desk one weekend.